A powerful earthquake has rocked the northern Iran-Iraq border region, leaving hundreds dead or injured. State television said more than 348 people were killed in Iran and at least 6,600 were injured. The 7.3 magnitude quake struck late Sunday evening. Its epicentre was in Iraq’s Sulaimaniyah province in Kurdistan, where at least six people were killed and dozens injured. Officials expect the death toll to rise when search and rescue teams reach remote areas of the country. Kermanshah province was the worst-hit. Three days of national mourning have been announced here. At least 14 provinces in Iran had been affected, Iranian media reported. Iranian Supreme Leader Ayatollah Ali Khamenei has offered his condolences, urging all government agencies to do all they could to help those affected. The quake was felt as far south as the Iraqi capital Baghdad, and Israeli media said the quake was also felt in many parts of Israel. Electricity was cut off in several Iranian and Iraqi cities where fear of after shocks sent thousands of people out onto the streets and parks in cold weather. Rescue teams in both countries rushed to the worst hit areas over night to find dozens trapped under rubble. In some cases landslides have been hampering rescue efforts. Turkey, which also reported feeling a strong tremor, said it is sending heaters, tents and blankets as an initial aid effort. 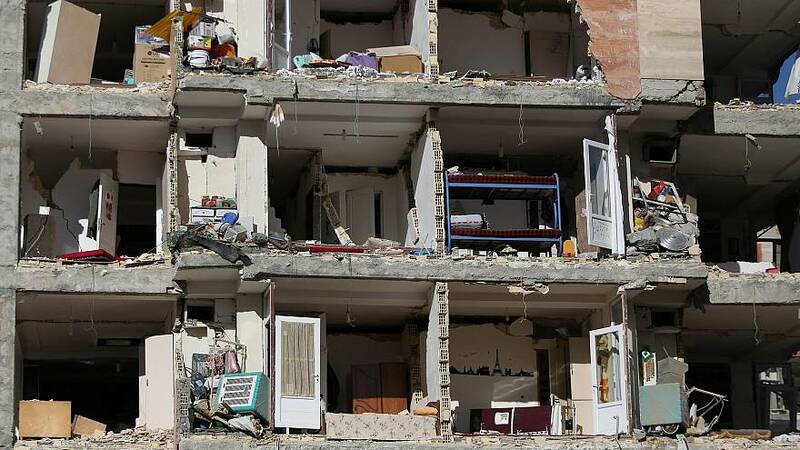 Iran sits on many major fault lines and is prone to near-daily quakes but rarely one this size, although in 2003, a magnitude 6.6 earthquake flattened the historic city of Bam, killing around 30,000 people.